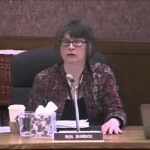 Dateline Portland, Oregon March 13, 2013: Senator Burdick has now lied again. After indicating she would have no further comment addressing her previous deceptions, she has gone on to grant another interview. Also, her “creepy” staff has begun doing background checks on reporters. 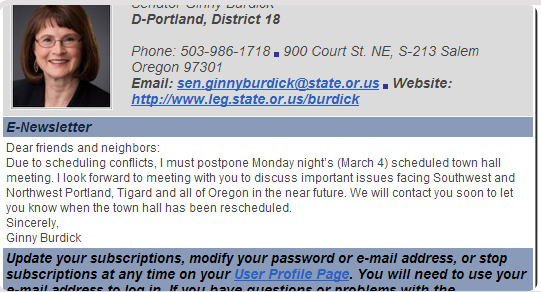 Left (stock): Friday 3/8 9:32 AM Burdick: ”We’re not going to talk about this at all again.” Middle: Tuesday 3/12 6:00 PM. Talks about it again on AL Sharpton’s PoliticsNation. 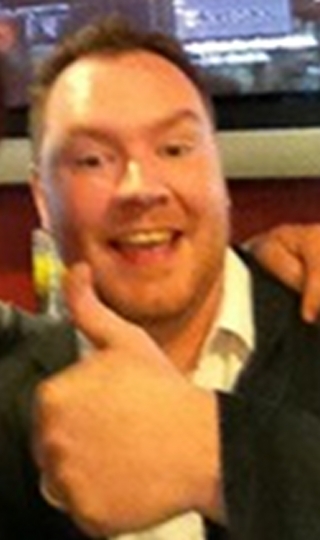 Right: Burdick’s Creepy Tracker Chief of Staff Jeff Fischer researched home address and voter record of reporter. Late last week, the mainstream media in Portland continued to provide cover for Ginny Burdick‘s fabrications. At that time I decided to get a single question answered: “Why did you lie?” It’s a simple question, with a newsworthy answer. 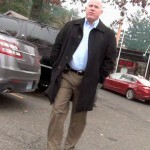 To my knowledge no one has asked her directly besides KOIN Local 6′s Ken Boddie, who appears to be one of the last real journalists left standing in Portland. Last last week and through the weekend, major outlets tried to demonize Jeff Reynolds, who was one of many bloggers and news outlets that posted the video proving that Burdick lied. Caught on tape, Burdick enjoys a relaxing evening in her upscale condo while her constituents wait. My phone call Thursday was fielded by her Chief of Staff, Jeff Fisher. That’s right, the same Jeff Fisher who is *himself* a creepy stalker. 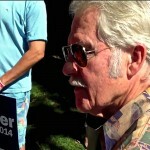 Reynolds exposed Fisher in his piece published Monday. How could Burdick herself claim to decry political tracker tactics, when she herself employs a paid opposition research trainer as her Chief of Staff? This was after he had promised me answers. So this occurred at exactly 9:32 AM Friday March 8th. 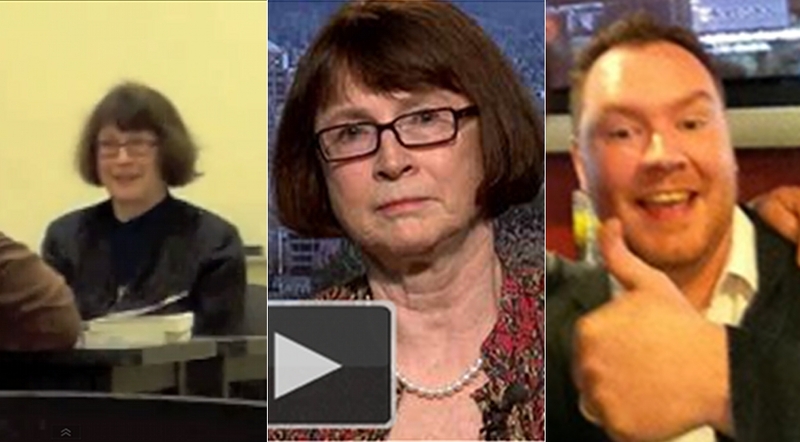 By yesterday evening (Tuesday, March 12th), Burdick lied again, appearing on Al Sharpton’s Politics Nation and breaking her own vow of silence. Over the weekend Burdick apparently felt she could run out the clock in the media cycle, having scored a transparent, highly biased piece in the New York Times. One could assume she thought she’d be done with the matter, as some other big news popped up Monday Morning. 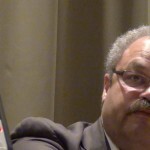 But Radio Talk Show Host Lars Larson jumped to the microphone with a blistering attack on Burdick’s lies on Monday morning. Getting the Last Word? 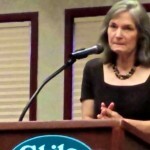 : This column in the “Newspaper of Record” written by respected journalist Jayne Carol offered a stinging rebuke and may have forced Burdick out of the hole she had crawled into. 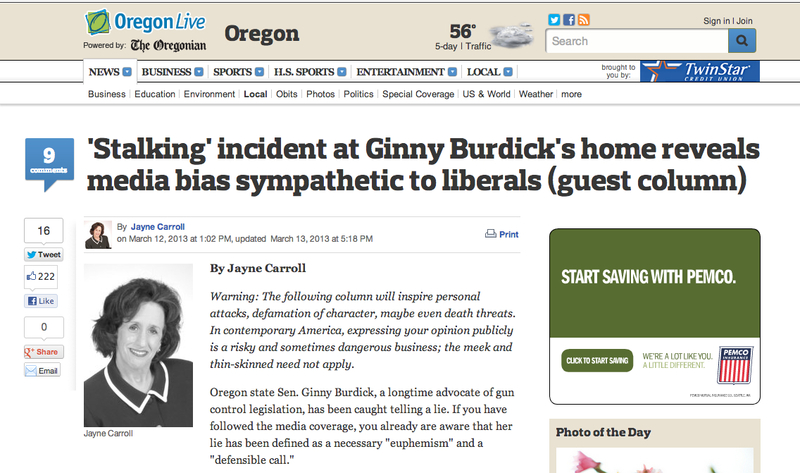 Piling on, well known and respected journalist Jayne Carol fired a broadside into Burdick’s web of deceit in Portland’s paper of record (the same paper, by the way, which had posted the video in online versions of their Ginny Burdick stories). Of course, Burdick could not let this go unanswered – she had to grant another interview to give what she hoped would be the last word on the subject. What’s perhaps equally disturbing is Burdick’s creepy staffer Fisher, who in addition to helping her run cover for her lies, is apparently doing Ops Research on members of the press. When I attempted to get my questions answered, Fisher informed me: “You’re not a constituent.” This was a surprise to me since Burdick had appeared on my last ballot. It seems Fisher had looked into my background long enough to determine my home address, that I had previously been in Burdick’s district, and that I was no longer in her district due to a subsequent redistricting. Researching reporters home addresses and voting records? Really? No time to call me back, but plenty of time to begin developing a dossier on my background. Now that’s creepy! Incidentally, I wonder if the Revvvvvrund Al is a constituent? As folks like Kari Chisolm continue to smear folks like Jeff Reynolds over their morning frappucinos, they might do well to keep the facts of this matter in mind: Burdick lied. Now she’s she lied again. And she looks duplicitous and disingenuous to decry the tactics of the videographer when she herself employs the creepiest tracker of them all, Jeff Fisher, who continues to do Ops Research on his opponents. 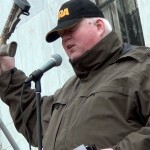 This entry was posted in First Amendment, Local News, Oregon, Portland, Second Amendment, Talk Radio. Bookmark the permalink. I think Ginny Burdick is a liar. How could Burdick herself claim to decry political tracker tactics, when she herself employs a paid opposition research trainer as her Chief of Staff? (Channels liberal)But, but, that,s different because, um, um, SHUTUP, RACIST.